His date of birth is unclear, with sources giving dates varying between 1484 and 1496. He was born most probably at North Nibley (15 miles s.s.w. of Gloucester), England. He received his degrees from Magdalen College, Oxford, and also studied at Cambridge. He was ordained to the priesthood in 1521, and soon began to speak of his desire, which eventually became his life's obsession, to translate the Scriptures into English. He became chaplain in the house of Sir John Walsh, at Little Sodbury in Gloucestershire, in about 1521. It is reported that, in the course of a dispute with a promminent clergyman who disparaged this proposal, he said, "If God spare my life, ere many years I will cause a boy that driveth the plow to know more of the Scriptures than thou dost". The remainder of his life was devoted to keeping that vow, or boast. He had admired the teaching of Erasmus at Cambridge (he made an English translation of the master's Enchiridion) and was certain in his heart that the way to God was through. But in London Tyndale was firmly rebuffed when he sought the support of Bishop Cuthbert Tunstall, who was uneasy, like many highly placed churchmen, with the idea of the Bible in the vernacular. Finding that the King Henry VIII was firmly set against any English version of the Scriptures, Tyndale, with the help of Humphrey Monmouth, a merchant of means, left England under a false name and landed at Hamburg in 1524. He visited Martin Luther at Wittenberg in 1525, and there travelled from city to city, in exile, poverty, persecution, and constant danger. In the following year completed his translation. The printing was begun with William Roye, another reformist Cambridge man, at Cologne. But Roye was indiscreet and the work was soon being talked about. 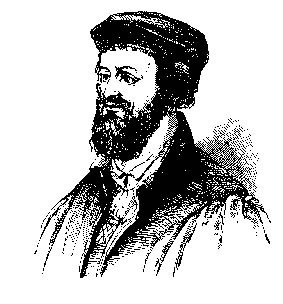 The city magistrates, at the behest of the anti-Lutheran theologian Johannes Cochlaeus, ordered the printing to stop. 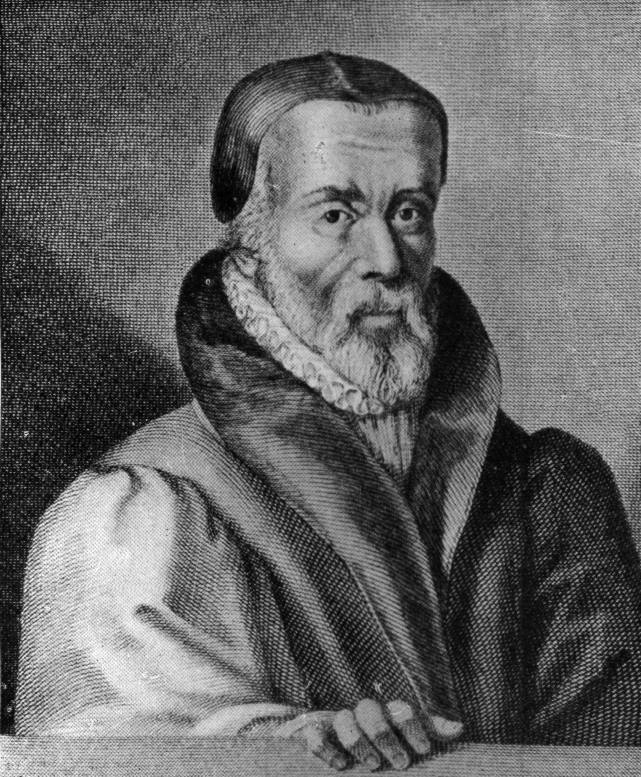 Only a few sheets were saved before Tyndale fled to Worms; among them was that containing his Prologue, which was later enlarged and called A Pathway into the Holy Scripture. Tyndale understood the commonly received doctrine - the popular theology - of his time to imply that men earn their salvation by good behavior and by penance. He wrote eloquently in favor of the view that salvation is a gift of God, freely bestowed, and not a response to any good act on the part of the receiver. His views are expressed in numerous pamphlets, and in the introductions to and commentaries on various books of the Bible that accompanied his translations. The printing was successfully carried out at Worms. 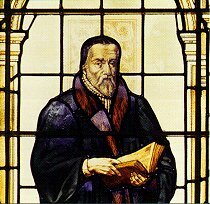 Copies of the New Testament in English arrived in Tyndale's country in 1526, and the work was given a very hostile reception by the Church. The reforming movement had insisted, since the time of John Wycliffe, that the scriptures should be available to everyone and not kept in the hands of the establishment so that they could make their own rules. But while the established Church could make no real case against a Bible in the vernacular, it could rest on its massive authority and mutter threateningly about tendentious comment - and Tyndale's New Testament carried a great deal of comment. Tunstall (predictably) and Archbishop Warham denounced it; so did Thomas More, who was against every manifestation of Luther's Reformation. Wolsey demanded Tyndale's arrest as a heretic. Tyndale went into hiding - in Hamburg, it is believed, for a time - and went on working. He revised his New Testament and began the translation of the Old. He wrote A Prologue on the Epistle to the Romans (1526), Parable of the Wicked Mammon, and Obedience of a Christian Man (1528). He printed his translation of the Pentateuch (1530) and Jonah (1531). In 1530 he wrote The Practice of Prelates which, in its opposition to Henry VIII's divorce (he objected to the grounds for it), seemed to move him briefly to the opposing side. It brought down on his head the wrath of the King, who asked the Emperor to have Tyndale seized and returned to England. Eventually an English spy in the Netherlands, Henry Phillips, betrayed Tyndale to the imperial authorities. He was arrested in Antwerp in 1535 and confined in the castle of Vilvorde, near Brussels. He was tried on a charge of heresy in 1536 and condemned to the stake in spite of Thomas Cromwell's attempt to intercede on his behalf. He was mercifully strangled before the fires were lighted. He was burned at the stake, but, as was often done, the officer strangled him before lighting the fire. His last words were, "Lord, open the King of England's eyes". Miles Coverdale continued Tyndale's work by translating those portions of the Bible (including the Apocrypha) which Tyndale had not lived to translate himself, and publishing the complete work. In 1537, the "Matthew Bible" (essentially the Tyndale-Coverdale Bible under another man's name to spare the government embarrassment) was published in England with the Royal Permission. Six copies were set up for public reading in Old St Paul's Church, and throughout the daylight hours the church was crowded with those who had come to hear it. One man would stand at the lectern and read until his voice gave out, and then he would stand down and another would take his place. All English translations of the Bible from that time to the present century are essentially revisions of the Tyndale-Coverdale work.